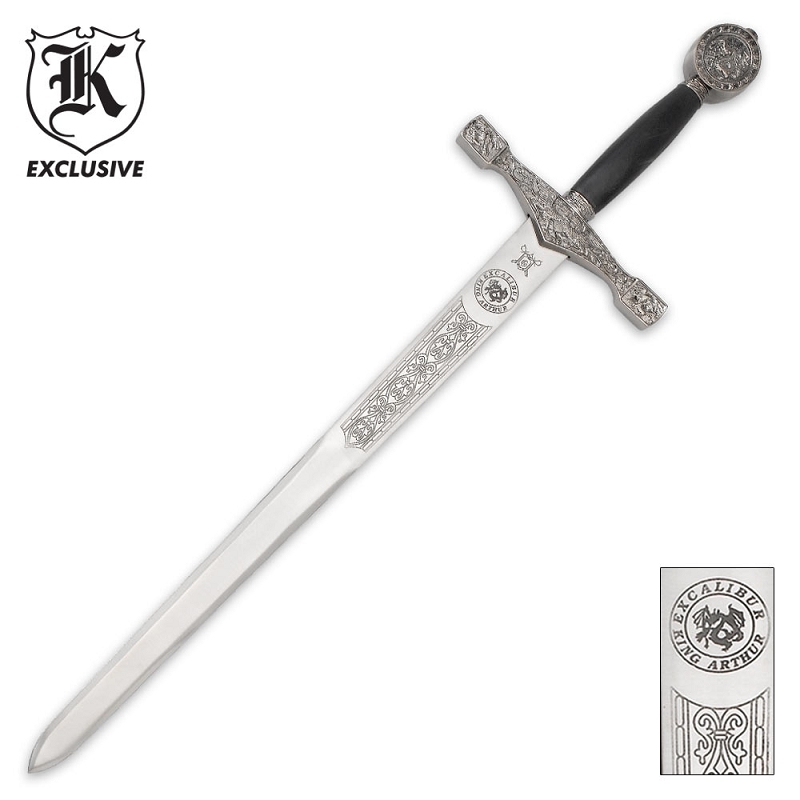 The legend of King Arthur comes to life with this beautiful collectible! This sword features a 420 stainless steel 31" mirror polished blade with ornate etchings. The handle offers a cast metal guard and pommel that are richly decorated in intricate silver plated engravings and a black hilt. This item measures 40 1/2" overall and will be a central point of attention in any collection!